Mr. Dog Training is Maine’s BEST dog trainer voted by Downeast Dog News' readers four years in a row. Located in the beautiful town of Bath, our bright and sunny training center is less than a quarter mile from Route 1. Our fully equipped, 2000 square foot, training facility has rubber flooring for you and your dog’s comfort and safety, and plenty of parking. At Mr. Dog Training we want your pets to reach their full potential! One of the most effective ways of doing this is learning how to properly communicate with your canine companion. When pets and people aren’t speaking the same language, it can be frustrating. Just like with any good relationship, communication is key! We use only positive training techniques while focusing on setting your dog up for success. 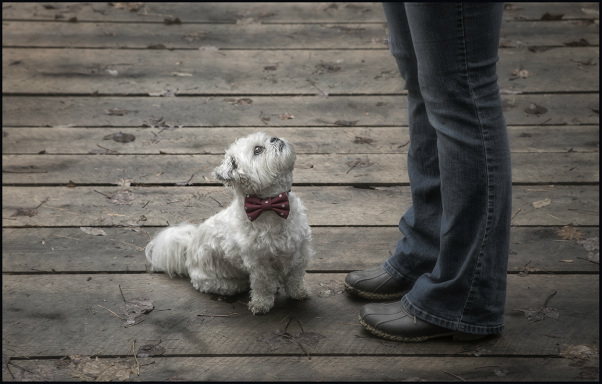 Our goal is to teach you to provide ample opportunities for your dog to make “good” choices and reward those choices. When dogs are rewarded for making “good” choices they are more likely to make those choices again in the future! We believe training should be fun for both you and your dog and that training with your dog should help create a strong, lasting relationship built on respect and trust. We take pride in providing a safe, fun, and compassionate environment to learn in. Mr. Dog Training offers many different types of classes, from FREE Puppy Preschool to Obedience classes to Fun and Games Activity classes like Noseworks, Tricks, Doga, Agility, Ninja Dog, Circus Dog and Treibball. All Mr. Dog Training classes meet weekly and use positive reinforcement techniques. Whether you need to train a new puppy or teach an old dog new tricks, we’ve got a class that’s just right for you.